in easter Week March 31st 1823. 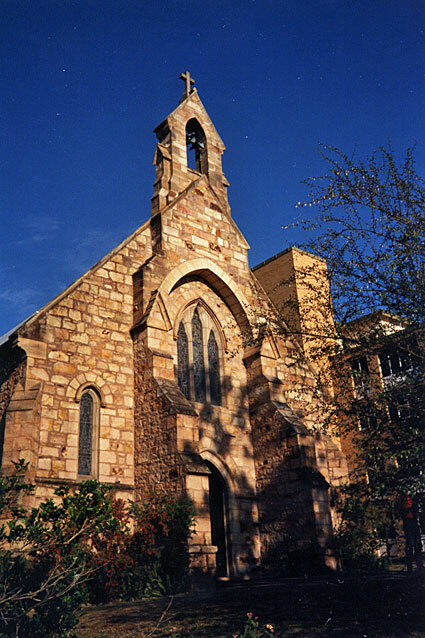 St. Mary's Church of England . . . was unroofed by a cyclone and seriously damaged on the 2nd April, 1892. The old roof has now been replaced by one more substantial . 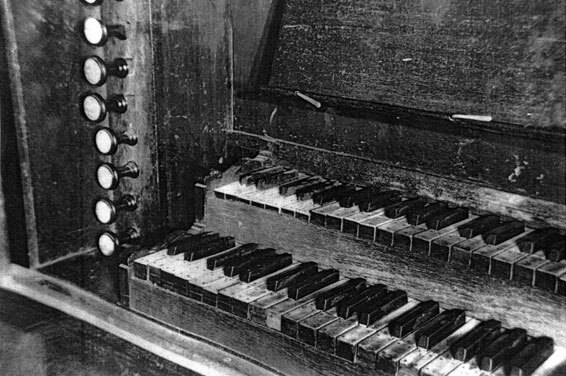 . .
Much evidence concerning the original instrument was destroyed in 1961, when the organ was rebuilt, electrified and enlarged by Whitehouse Bros, using new chests, action and console, but some earlier photographs and observations are still available. The Swell soundboard prior to 1961 showed without doubt that the swell compass extended down originally only to fiddle G, giving 35 notes, G-f3, although it was later extended to Tenor C. The late Mr John Irving, organist of St Mary's in the 1930s, deduced from an inspection of the old action that the original compass of the Great extended four notes below the present CC, presumably giving 58 notes, GGG-f3 (without GGG-sharp).19 The original low compass is also in evidence on the console that existed before 1961, where the right jamb was against the right cheek of the manuals, whereas there was a space between the left jamb and the left cheek for a few extra notes. The entire front section of the present case above the impost appears to be of a later date than the remainder. The pedalboard before 1961 was flat and straight, and there was a combination pedal that added stops 2, 3, 4 and 5 on the Great (see below), and another that removed the same. The action was mechanical, and there were ivory stop knobs, which, according to the late Mr Joseph Whitehouse, had replaced former carved oak knobs with stop names on slips of paper glued to the jambs. 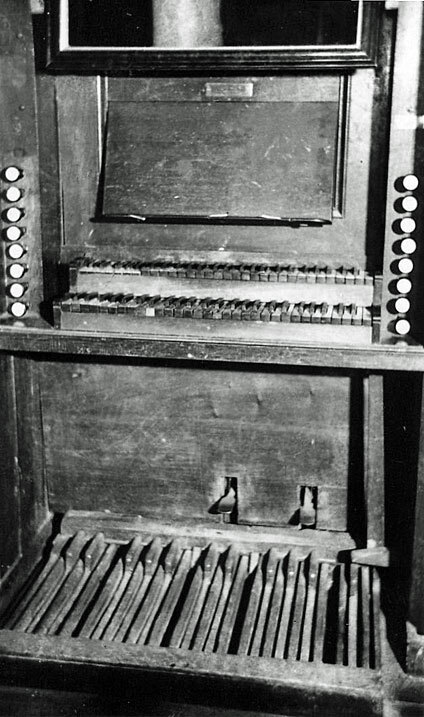 Comparison between the photograph below of the Kangaroo Point console before 1961 and that of the restored Thaxted console reveals obvious similarities in the shape of the stop jambs, the key cheeks and the keyboards. While the tropic pinning of the keys presumably dated from 1897, much of the pre-1961 console appears, therefore, to date from before the post-cyclone repairs of 1897, and to have been built by Lincoln. 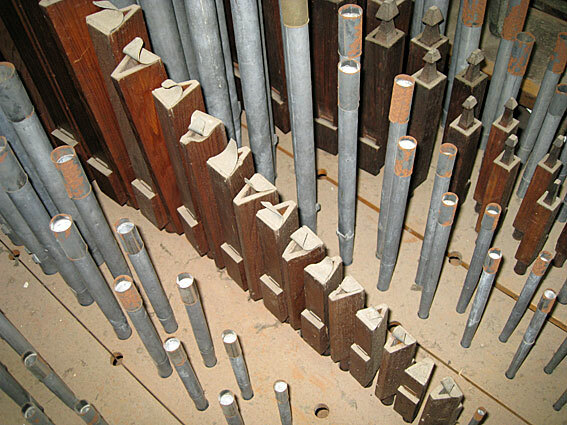 The unusual position of the Dulciana on the stop jamb at Kangaroo Point suggests strongly that it had replaced an earlier reed, as was often the case in the rebuilding of early nineteenth-century organs. 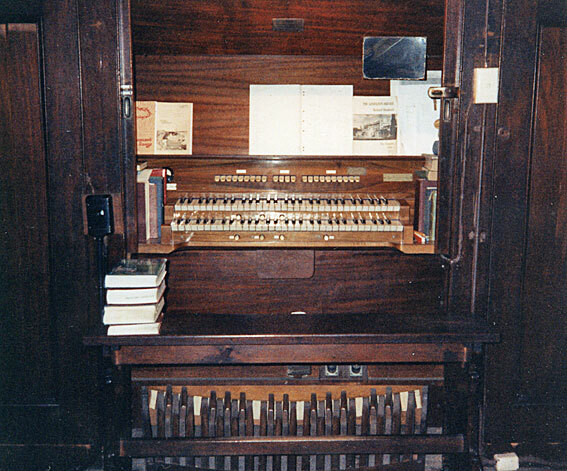 Having reconstructed the details of the organ as it appears to have existed when installed at Kangaroo Point in 1876, attempts have been made to identify its original location in England. Details of many such early nineteenth-century English organs survive in contemporary notebooks, including the Sperling Notebooks, which are believed to have been compiled in the period up to 1854,20 and a manuscript copy of a notebook titled 'Account of Organs' by the organ builder, George Pike England.21 With the assistance of the late English organ historian, the Revd Bernard B. Edmonds, possible links were discovered in the 1970s to at least two London churches: Battersea Parish Church, and Wheler Chapel, Spital Square. Lincoln 1823. 2 rows of keys. Great organ GG to f in alt. An octave of Open Unison Pedal Pipes GG to G.
The Great Twelfth and Fifteenth presumably drew together on the same stop-knob. No mention is made of pedals in G.P. England's account of this organ, and it appears likely that the Great Open Diapason did not extend to the full compass. The differences between these two accounts of the organ at Spital Square may result from incomplete note-taking on the part of G.P. England or, more likely, from additions to the organ at a later date, but the two accounts appear to refer to one and the same instrument. Furthermore, there is a high level of concordance between these accounts and the reconstructed details of the organ at Kangaroo Point. 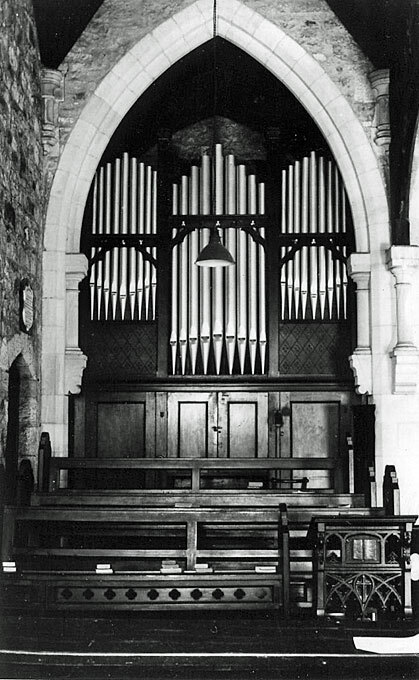 The organ that arrived at Kangaroo Point in 1876, therefore, could conceivably have been removed from Spital Square in 1874. If so, it appears to have been installed there in 1810, and to have had at least a few stops (and pedals) added before the middle of the century. 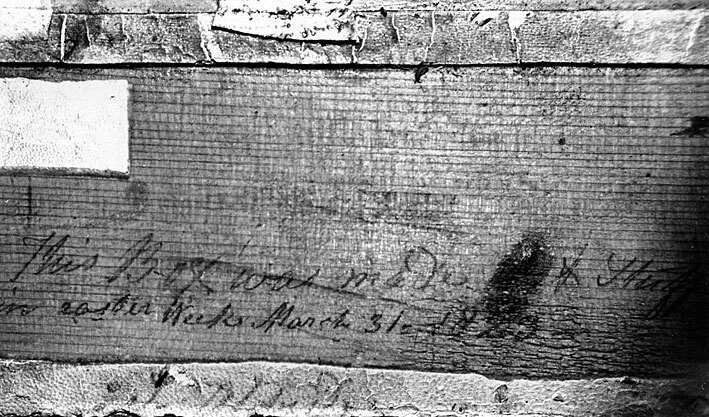 It is possible that it was originally a single-manual instrument to which Lincoln added a Swell (in 1823 according to the inscription discovered at Kangaroo Point), although it is also possible that Lincoln built the entire instrument. Although the Kangaroo Point instrument is the only one in Australia bearing any connection with H.C. Lincoln, Lincoln's role in its construction remains unclear. 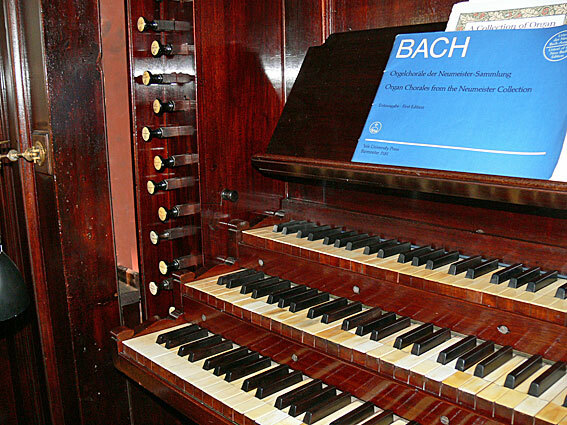 The chequered history of the instrument has severely impaired its heritage value. 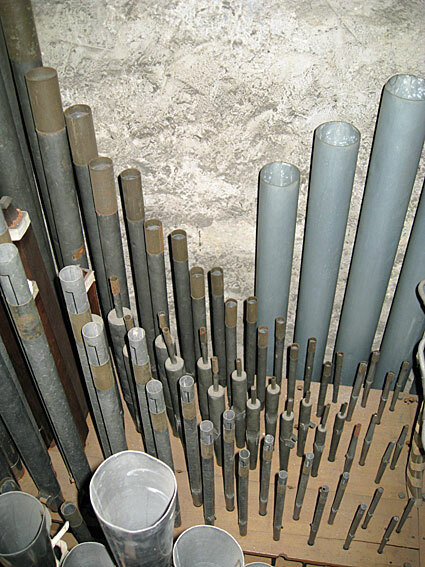 Cyclone damage in the 1890s and the replacement of various stops in 1897 and 1922 have reduced the quantity of original pipework. Little of the original casework has survived, and what remained of the original soundboards, action and console was removed in 1961 when the instrument was rebuilt and enlarged with cone-pallet chests and electro-pneumatic action by Whitehouse Bros of Brisbane. 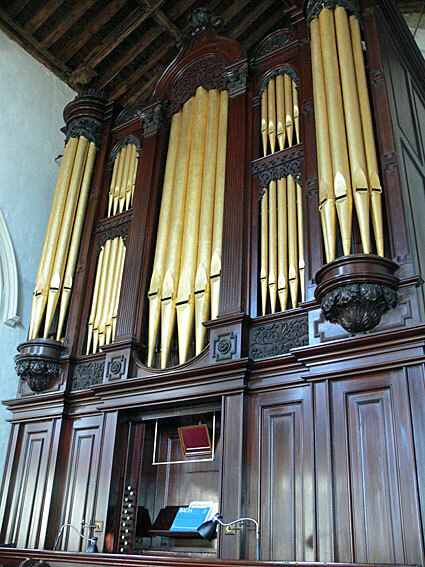 Plans were developed around 2003 to build a new organ incorporating what remains of the early pipework at Kangaroo Point, and modelled to some extent on the extant 1821 Henry Lincoln organ (formerly at St John's Chapel, Bedford Row, London) now at Thaxted Parish Church, Essex,35 although these have not proceeded. 1 An earlier version of the historical documentation presented here appeared in 1977 as: Geoffrey Cox, 'An Organ by H. C. Lincoln in Australia,' The Organ, vol. 55, no. 217 (1976-77), pp. 18-23; subsequent correspondence in BIOS Journal, vol. 2 (1978), p. 134. 2 The Brisbane Courier (6 November 1873), p. 2. 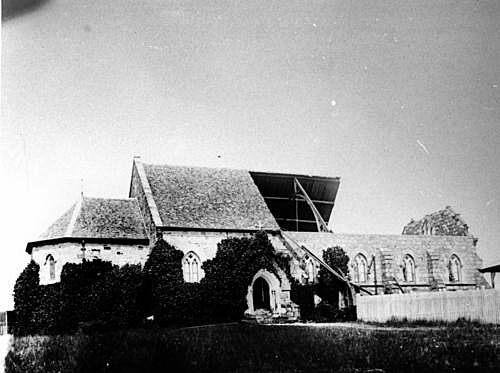 3 Queensland Heritage Council, Queensland Heritage Register, location 600244; E.J.A. Weller (ed. ), Buildings of Queensland (Brisbane: Jacaranda Press, 1959), p. 32. 4 The Brisbane Courier (6 November 1873), p. 2. 5 'Diary of Events' for 31 August 1876 in Pugh's Queensland Almanac . . . for 1877. 6 The Week, vol. 2, no. 36 (2 September 1876), p. 264. 7 The Week, vol. 2, no. 31 (29 July 1876), p. 122; reprinted in The Queenslander (5 August 1876), p. 9. 8 John Irving and Edward R. Salisbury, (Letter) 'Historic Brisbane Organ,' The Courier-Mail (25 January 1938), p. 12; Ibid., (Letter) 'To Organ Historians: A Query,' Musical Opinion, vol. 62 (September 1939), pp. 1068-70. 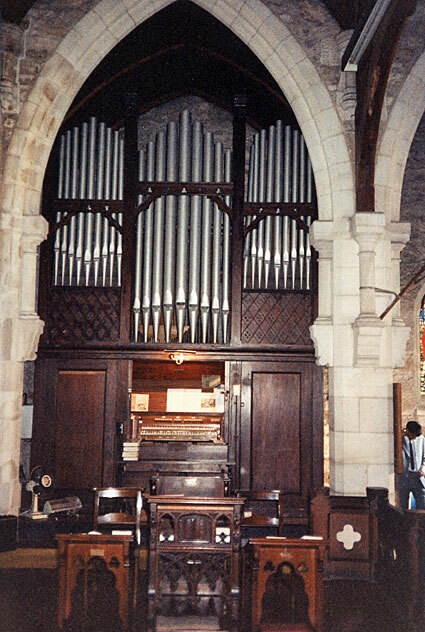 See also: Edward R. Salisbury, 'The Organ in St. Mary's Church, Kangaroo Point, Brisbane,' unpubl., rpt. in The Organ Voice, vol. 28, no. 2 (June 2002), pp. 10-14. Salisbury's paper was dated 'circa 1970' when reprinted posthumously in The Organ Voice, but was clearly written well before the organ was rebuilt in 1961. 9 Nicholas Thistlethwaite, The H.C. Lincoln Organ in Thaxted Parish Church, Essex. Oxford: Positif Press, 2014, pp. 10-12. 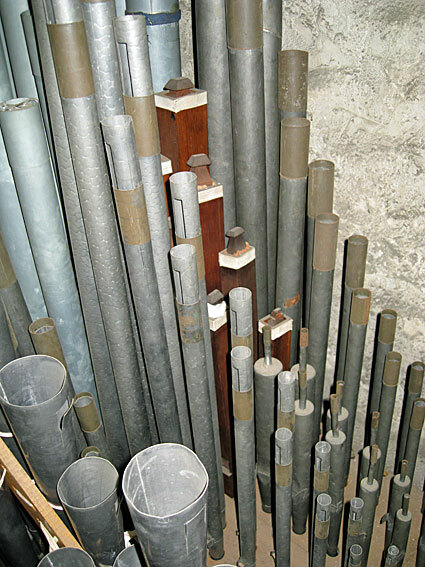 10 Brian Staveley, 'Saving a Georgian Organ,' Organ Australia (Summer 2014-2015), pp. 28-32. 11 Irving and Salisbury, op. cit; Salisbury, op. cit., p. 11. 12 The Brisbane Courier (27 February 1893), p. 6. 13 The Brisbane Courier (6 November 1897), p. 4. 15 The Brisbane Courier (11 April 1898), p. 10; The Brisbane Courier (19 May 1898), p. 1. 16 Whitehouse Bros Ledger (1922-1940), p. 97. 17 Whitehouse Bros Ledger (1940-1954), p. 245. 19 Salisbury, op. cit., p. 12. 20 James Boeringer, 'Further 19th-century accounts of English organs,' The Musical Times, vol. 116 (1975), p. 74. 21 B.B. Edmonds, 'Organ Correspondence and Travel Societies,' The Organ, vol. 52, no. 208 (1972-73), pp. 166-69. 22 Sperling Notebooks, vol. 1, p.165. 23 Charles Mackeson, A Guide to the Churches of London and its Suburbs, for 1889 (London, 1889), cited by B.B. Edmonds. 24 Gordon Barnes, Stepney Churches: An Historical Account (London: Faith Press, 1967), pp. 87-9. 25 Personal communication to G. Cox from B.B. Edmonds, 8 March 1974. 26 Sumner, op. cit., p. 178. 27 B.B. Edmonds, 'Organ Correspondence and Travel Societies,' op. cit; Personal communication to G. Cox from Rev. B.B. Edmonds, 8 March 1974. 28 Sperling Notebooks, vol. 1, p. 61. 29 W.H. Manchée, Spitalfields: Sir George Wheler and his Chapel, St. Mary's, Spital Square (A Paper read to the London and Middlesex Archeological Society at Bishopsgate Institute, 20 April, 1912. Reprinted from the Transactions of the Society), p. 468. 30 Records of St. Mary's, Spital Square, P93/MRY2/16 (Greater London Council Record Office). 31 Manchée, op. cit., p. 474, and Charles Mackeson, A Guide to the Churches of London and its Suburbs, for 1889 (London, 1889), p. 108. 32 Geoffrey Cox, Letter to the Editor, BIOS Journal, vol. 2 (1978), p. 134. 34 Specification noted by G. Cox, 1972 and 2011, and from Dedication Programme, 6 August 1961; Details provided in The Organ Voice, vol. 31, no. 3 (September 2004), p. 9 are not complete. 35 John Chappell, 'Authenticity Returns to Brisbane,' The Sydney Organ Journal, vol. 35, no. 1 (Summer 2003-04), pp. 44-45; The Organ Voice, vol. 31, no. 3 (September 2004), pp. 7-10. Details of the Thaxted instrument can be found in Andrew McCrea, 'British Organ Music after 1800,' The Cambridge Companion to the Organ, ed. N. Thistlethwaite and G. Webber (Cambridge: Cambridge University Press, 1998), pp. 279-80, and in Brian Staveley, op. cit.